A fun Naruto free coloring page for children. Become a coloring artist and color this picture however you want. 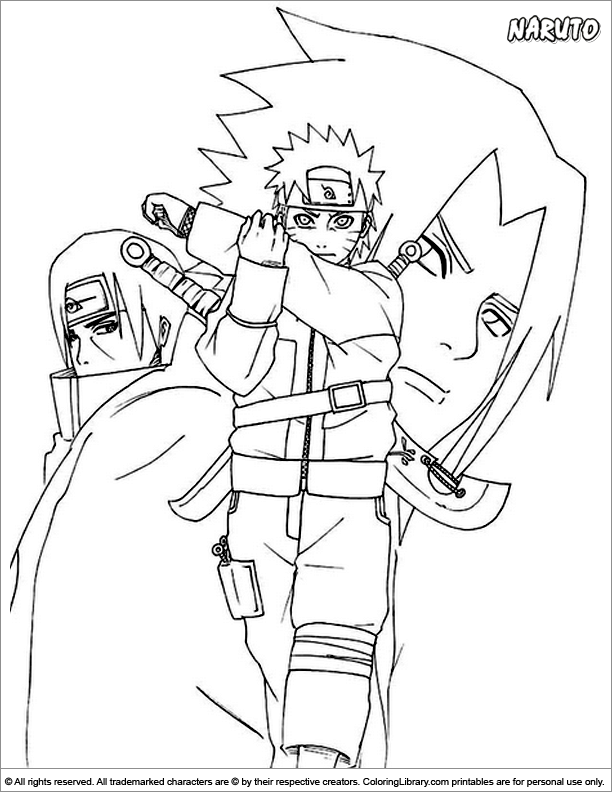 Click the print button and together you and your child can color this fun Naruto picture. When you are done coloring it hang it in your room.